Wine is almost always produced in beautiful, bucolic locations. So why settle for driving to a winery, doing a wine tasting, buying a few bottles, and moving on? We think you should pause, take in your surroundings, talk to the people responsible for the end product, learn the history of the place, and then head inside or out on a patio to taste the wine. We assure you that your tasting will have more meaning due to the context you’ve just been given. 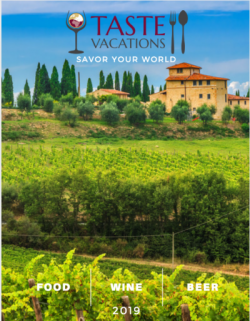 Wine tourism has been on the rise over the past decade and continues to climb in popularity. And for good reason! Wine is unlike other agricultural products. By learning about wine, you open up whole other chapters of information about the local terroir, culture, history, food, and even about the people themselves. Enjoy the warm California sun while getting in some light exercise – which by the way has been proven to improve your mood (though we are guessing you’re already in a good mood, being at a winery). Experience first-hand where 90% of the wine is made. You get to see the grapes growing right on the vines (perhaps even get a taste if they haven’t been harvested), examine the rootstock, and learn about the different techniques the vineyard manager is utilizing. Get a behind the scenes look at the winery. More often than not, you’ll encounter and chat with the people directly responsible for the creation of the wine, such as vineyard managers, that you may not otherwise meet. Gain access to private Sonoma County vineyard land that not everyone is allowed to experience, not to mention during one of the most beautiful times of year where the vine leaves are varying shades of orange, red, and gold. Learn the stories and history of each of the vineyards from your personal guide as he shares his knowledge as you stroll along. And as we touched on above, after taking a little bit deeper dive into how the wine is made, meeting with the people who are responsible for the end product, and seeing and experiencing the terroir first hand, the wine tends to taste a bit more complex than before. Sound like something you’d like to try? Join us on the Sonoma Wine & Walking Tour this fall – or if you have a group of four or more, plan your own private tour.